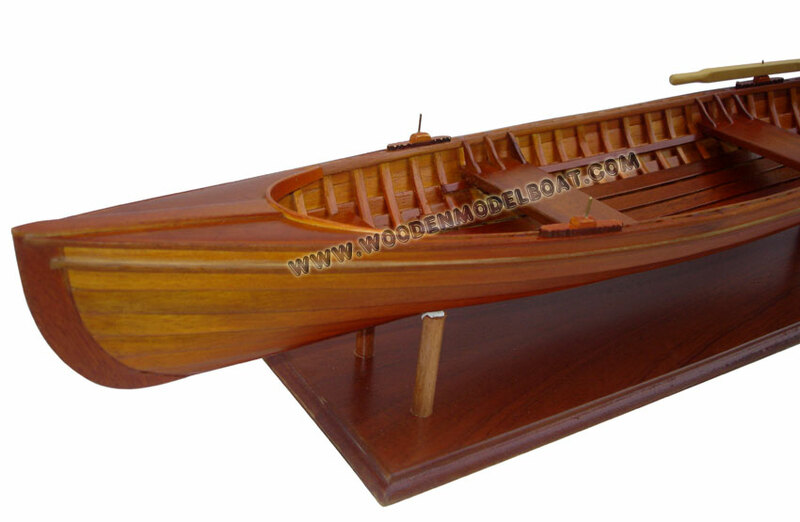 Model is handcrafted from hard wood with clinker built construction, the inside is constructed with open ribs as the original boat. 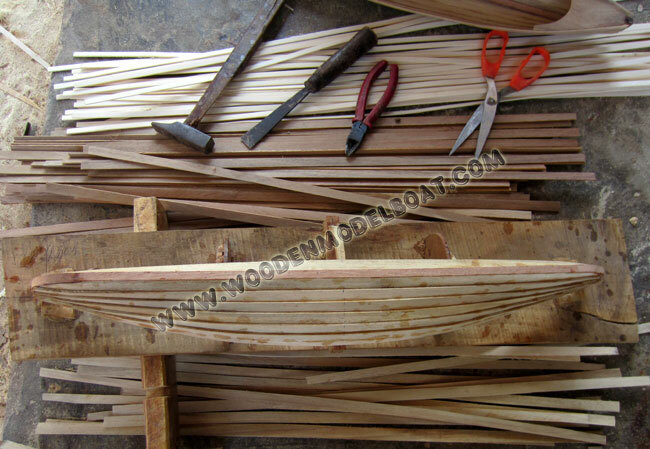 The outside is white painted and the inside is finished with natural wood. 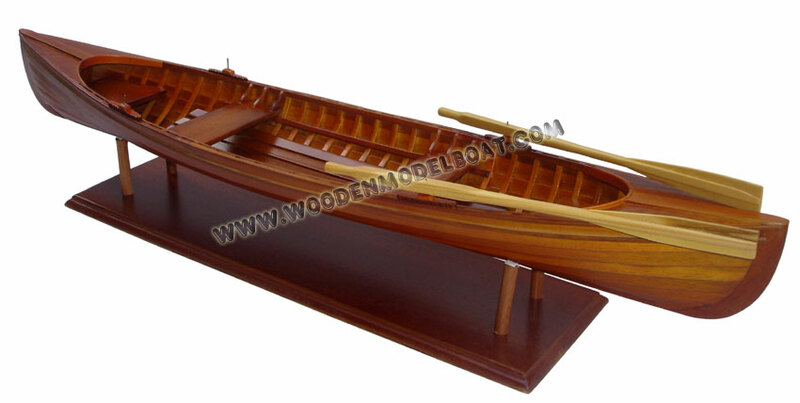 Model comes with a pair of oars and a base like shown photos. 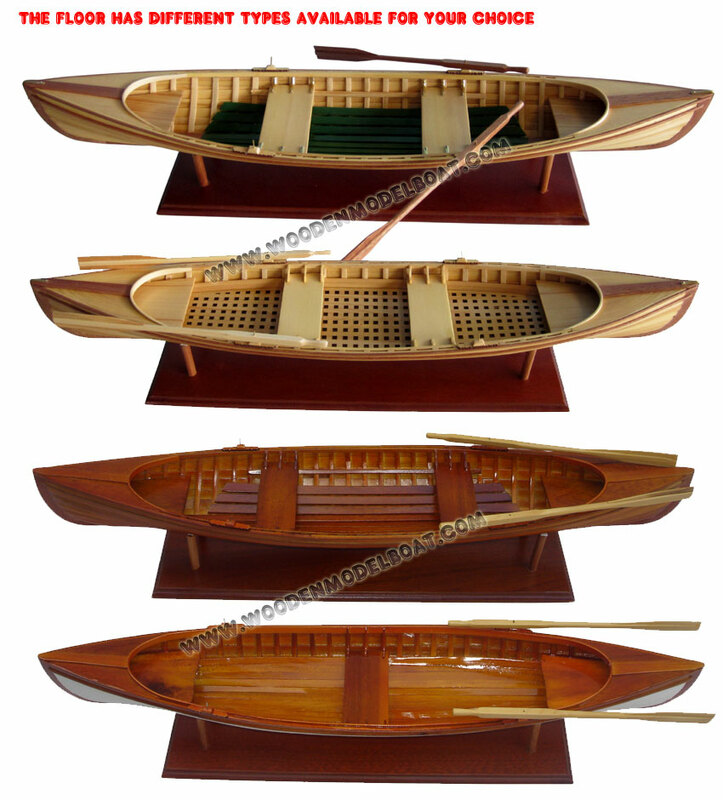 The St. Lawrence skiff is a traditional clinker double ended craft developed in the mid 1800's among the Thousand Islands, between New York and Canada. 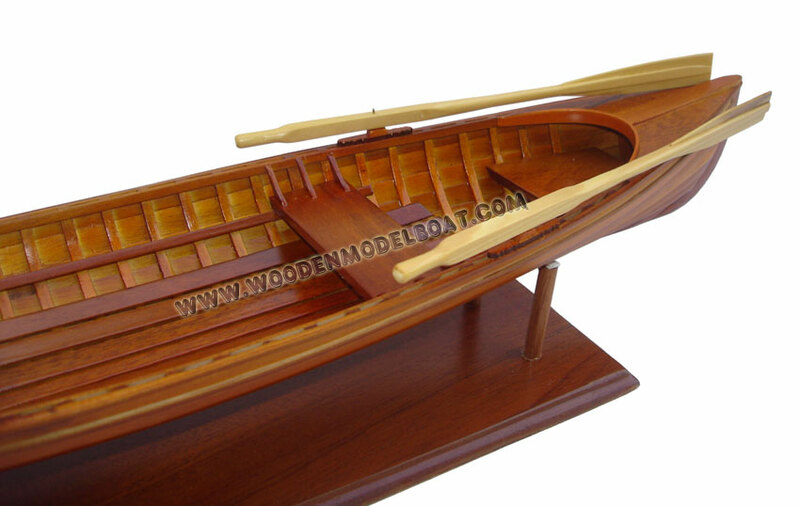 Usually between 18' and 22', the Skiff was originally an all purpose water transport between islands and the mainland. 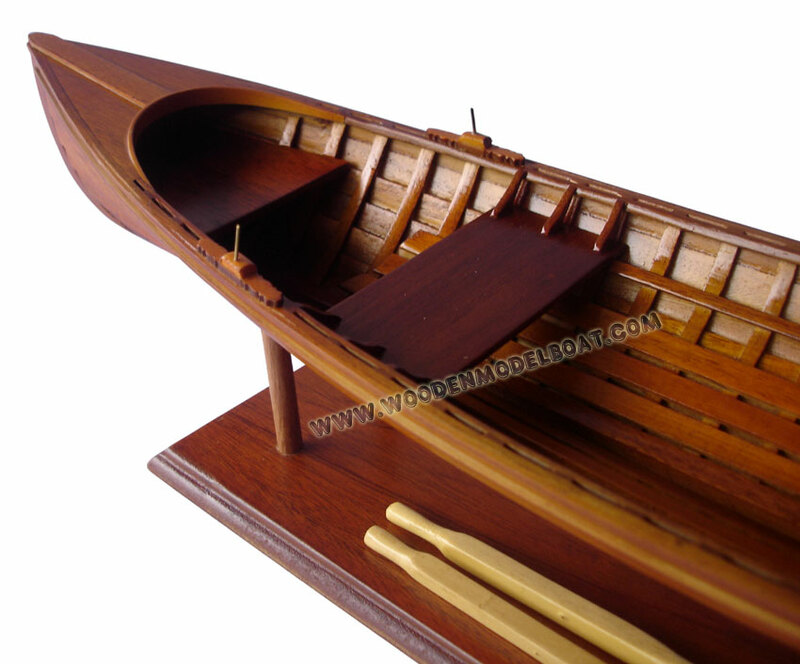 The St. Lawrence skiff was not paddled but propelled by oar or sail, and was always sailed with no rudder. 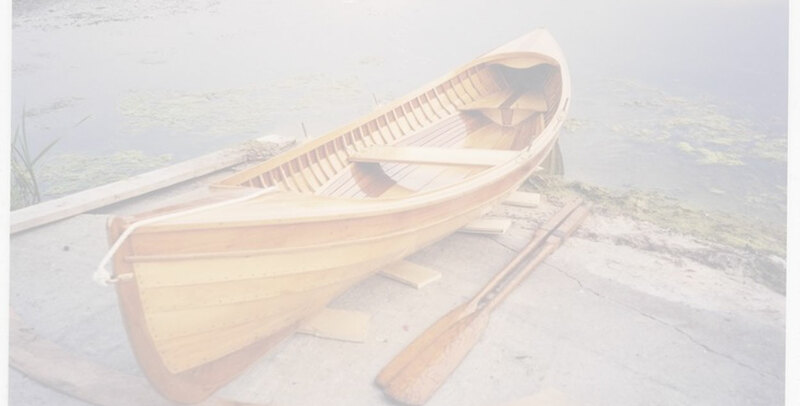 In the late 1800's, with the rush of city folk to the outdoors, the St. Lawrence skiff became the craft of choice for the local fishing guides to take their paying city "sports" out on the river. Sailing races between towns on the river took place in the Skiffs, again using no rudders, just the movement of the crew to steer the boat.